I just started the game a few days ago. One of my pets is about to reach level 50 and I was wondering what level I could farm where I could find the item "Wind Sphere". Thanks for any help you can provide. Hi badrad, Wind Sphere drops from many NPCs, such as the 3rd and 8th NPCs at Desert Isle, 1st and 6th NPCs at Wind Palace. Thanks for that info, I will start farming those to hopefully get one. I have another question if anyone is able to answer. For pet drops are there only certain levels that can drop a pet. I feel like I was searching one area that the pet I wanted but never got it as one of the drops. Then I found a thread that had some of the pet locations and was then able to find the pet when I searched the specific area recommended. they show you which spots drop which pets. what colour is your pet..If it is white , you may not want to evolve it, and try to find a better pet. So only certain levels will drop pets, while other levels may only drop items? 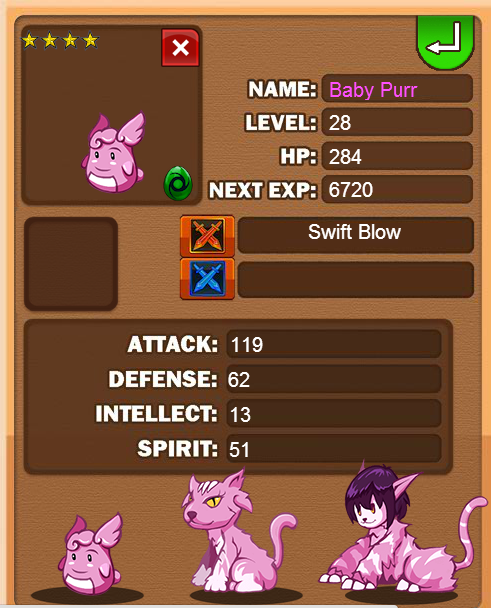 I have a purple Kitty thing at level 45. I plan to farm until I get one and will just keep him out of party once he reaches level 50. .. some drop both pets and items. thanks I got lucky and it was like the 4th or 5th pet I found in the area. What stats should I focus on him? I currently have been adding to attack and defense, I just recently started adding some points to spirit. I believe Intelligence is a waste on him as his special move deals physical damage. Are you sure it is an intelligent pet? Its special "swift blow" does "Deals large amount of physical damage to one target". 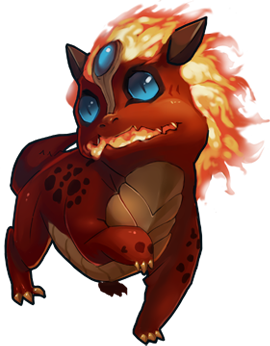 It's secondary ability is "Additional Strike" giving him the chance to deal a an additional regular attack with reduced attack power.